I receive lots of wines for review, and make it a point to taste everything that arrives at my door. And, as I’ve done from the beginning here, I try to post notes on the wines I particularly enjoy. But up until now, I’ve posted them at irregular intervals, when the timing seemed most appropriate. Now, however, I’ll be sharing a new tasting note here every Wednesday. Of course, I’ll continue to post my reviews of specific bottlings on other days too, as well as news, commentaries, updates on important issues in the world of wine, videos, and more. But Wine Review Wednesday will be something you can count on week after week. Intriguing peach, apricot, and spice mark the nose, as well as a touch of stoniness. The stone fruit and spice notes follow through to the palate, both of them lifted by well-balanced, lively acidity. All of it is carried on a lithe, light-bodied frame that, texturally, seems perfectly matched to the sense of minerality brought by this appealingly transparent wine. The finish--subtle, quiet, true to what preceded it--whispers of spice before fading to a very pleasant memory. This wine delivers just what you’d hope, and is a pleasure to drink. Unfortunately, this knee-jerk response is the result of what might be two of the most dangerous aspects of consumers’ wine-drinking routines: Habit and misunderstanding. Indeed, for most people, Champagne is a treat to be enjoyed only during times of celebration. As a result, it’s typically consumed from flutes that, while excellent for maintaining the bubbles’ vivacity, do little for what ostensibly matter most: The aroma and the flavor. After all--and contrary to popular perception--Champagne is first and foremost wine. The problem is that far too many consumers consider it a part of some sort of separate category, one where the typical rules of consumption (appropriate stemware, pairing it with food) don’t necessarily apply. Fortunately, I’ve noticed a bit of a trend in recent years, especially at better restaurants: The flutes have been growing larger, more bulbous, and therefore capable of affording even the most basic Brut NV its best possible expression. But we’ve yet to get to the point where most customers would feel comfortable drinking, say, older vintage bottlings from white-wine glasses. Still, any progress right now is good progress, and I have a feeling that, as more consumers become more educated about Champagne, they will grow far more willing to break free from what amounts to a fairly detrimental (or, at the very least, limiting) orthodoxy as it exists right now in regard to Champagne consumption. And even if the Champagne-drinking public isn’t quite yet at the point where they’re ready to experiment, the groundwork is being laid for when they do get there. Last autumn, for example, I had the very good fortune to attend an event at New York's Astor Center co-hosted by Champagne Charles Heidsieck and Riedel Crystal, at which I not only had the chance to taste some remarkable Champagnes, but also to learn about an aspect of Champagne consumption that would never occur to most people: Decanting. Decanting, of course, isn’t for all Champagne. And it shouldn't’ be done in a standard decanter, either. But mature, complex, and balanced bottlings, when decanted into an appropriate vessel, will absolutely express themselves better than if they had just been poured from the bottle into the glass. 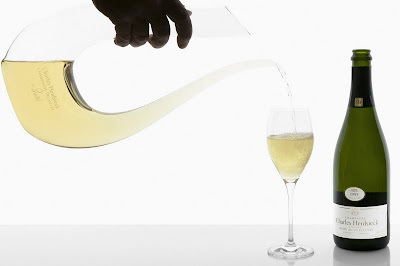 This event was a chance to experience a gorgeous lyre-shaped decanter that Riedel has created specifically with the Charles Heidsieck Blanc des Millénaires in mind. Its ingenious design allows the wine to open up and attain its greatest level of complexity and expression without losing the bubbles. The difference between the Charles Heidsieck Blanc des Millénaires 1995 from bottle and decanter was astounding. From bottle, it showed perfectly juxtaposed creaminess and acidity, its balance between richness and linearity perfectly pitched. It was amazingly youthful for a nearly 15-year-old wine, its minerality coming through with ringing clarity. From the decanter, however, it was another creature entirely--more mature, richer, deeper, showing a complex well of everything from warm butter to brown-sugar-grilled peaches and even a hint of dates. The texture was different, too: It was softer and creamier, almost silky, and coated the palate with even more generosity. The decanter took what was a great wine on its own and made it even better. At the end of the tasting and discussion (Maximilian Riedel, CEO of Riedel Crystal North America, also spoke, as did Remy Cointreau USA’s Jennifer Simonetti-Bryan, MW, Master of Wine & Spirits Expert, and Christian Holthausen, the International House Communications Director for Champagnes Piper-Heidsieck and Charles Heidsieck), we had one more treat in store: The exceptionally rare Charles Heidsieck Champagne Charlie 1981, a legend of a wine of which only 2,940 bottles were ever produced. It was, in a word, perfect, possessed of a beguiling deep color and notes of warm buttered nuts, dried apricots, flowers, pizzelles, café crème, hints of lemon creme, and truffles. It was all I could do to keep from chewing every sip in an effort to pull even more from the well of flavors it delivered. Mr. Camus suggested this Champagne at the end of a meal with a cigar. 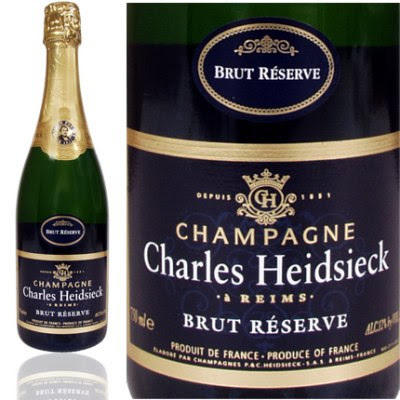 He also pointed out that it will work well with chocolate, which is typically a very difficult partner for Champagne. But for me, it was spectacular simply on its own, and a perfect way to end a singularly eye-opening (and, indeed, fantastically delicious) morning. The AFP news agency reported earlier this week that “A French court on Wednesday handed out suspended jail terms and hefty fines to 12 wine industry figures for selling millions of bottles of fake Pinot Noir to US wine giant E&J Gallo. Aside from the obvious--and quite serious--problems that this scandal poses for the French wine industry in general and the far more fragile one of the Languedoc in particular, a larger issue is at stake here, at least as far as consumers and American wine culture go. The problem, it seems, is one of perception (or, rather, the lack of it), and the self-branding role that wine plays for so many consumers. After all, the report says that “the defendants were accused of substituting wine made from less expensive local grape varieties for the Pinot Noir, which is popular on the American market.” So here is my question: Pinot Noir possesses one of the most recognizable aromatic and flavor profiles in the wine world; it is, I’d argue, easier to pick out a Pinot than most of the other grape varieties that are consumed in such overwhelming volume. So how did this not come to light earlier if the juice was not what it was purported to be? And therein lies the contradiction, the logical disconnect that I cannot seem to wrap my mind around. If Pinot Noir is, as the report says, “popular on the American market,” but Gallo was able to sell what amounted to a falsely labeled Pinot substitute, then do most people really know or pay attention to what they’re drinking beyond assessing whether they like the wine in their glass or not? In other words: Do most Pinot fans really like the flavors, aromas, and textures of their supposed favorite grape variety, or are they simply responding to the idea of Pinot, to its overwhelming popularity and the what literature professors might call its symbolic weight. 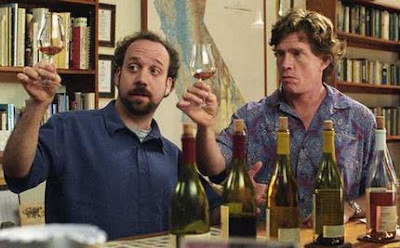 After all--and as the film Sideways showed--there is still a vast difference, in terms of perception, between casual wine drinkers saying that they like Pinot best as opposed to highlighting their affections for, say, Merlot. The former has, for some reason, taken on a certain caché of sophistication, whereas the latter, despite its dominant presence in some of the greatest wines in the world (Chateau Petrus, Le Pin, etc. ), remains sadly weighed down by too many unfortunately insipid bottlings from California in the last third of the 20th century. So while this crisis of mistaken grape identity certainly poses a number of very serious problems in terms of commerce and politics, the one that disturbs me most is the cultural issue that it highlights. Why, after all these years, is wine still considered such a potent marker of cultural aspiration and self-branding, and so often utilized as such with little or no regard for what theoretically should be its determining characteristic: The quality of the juice in the bottle. I’ll be writing a complete rundown of the Wine Media Guild’s excellent Australian Cabernet lunch next week, but for now, with the weather cold and damp here in the Northeast, I thought I’d post a tasting note for two spectacular older wines I was lucky enough to sip alongside lunch that day: Yalumba’s Cabernet Shiraz ‘The Reserve’ 2002 and 1990. Both of these wines showed just how well Australian wines have the potential to evolve, even if far too many people still don’t give them the credit they so richly deserve in this regard. 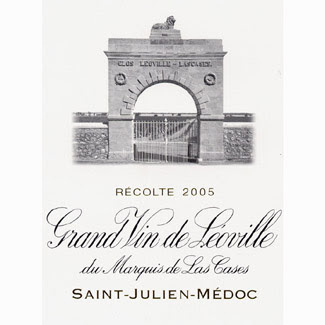 The 2002 had a distinctly roasted nose, with hints of ground espresso and a Rhone-like asphalt note. The palate, all silky textured and still quite grippy, was rich with currant, cherry, sage, pepper, and a bit of licorice. 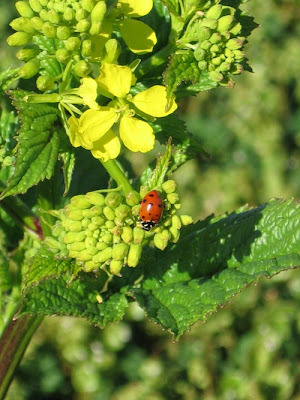 It benefited immensely from the meal, as its youth was well-tamed by a bit of fat. The 1990, on the other hand, was deeper, the nose a well of chocolate-covered black licorice, a whiff of charred meat, and a Bordeaux-like earthiness that headed in the direction of tobacco. The acid of the palate was still surprisingly fresh 20 years on, and what was just a hint of tobacco on the nose manifested itself on the palate in flavors of cigar, humidor cedar, and a really nice nod in the direction of bay leaf and, again, sage. It was, indeed, a wine at its peak, utterly well-crafted and a joy to drink. Readers of this blog know how much I love Riesling: From its food-friendliness to its longevity to its spectacular ability to transmit the nature of the land in which it’s been grown, there are few white wines in the world that stir up quite so much emotion in me when I pop the cork or unscrew the cap from a bottle. Sadly, however (and as we all know), Riesling suffers from a lot of bad information, and the unfortunate tendency of consumers who haven’t been exposed to the good stuff is to assume that all of it is a sensory relative of Blue Nun--sweet, syrupy, and devoid of character. The truth, though, is exactly the opposite, and I’ve been heartened to see more and more wine lists with excellent selections of Riesling, and an uptick in the number of consumers who express a genuine interest in the grape. Fortunately, Riesling producers, importers, marketers, and other representatives of the wines have not only seen the problems with all the misinformation out there, but they have begun to take steps to rectify them. 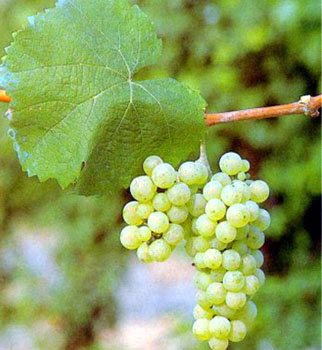 The system (which I wrote about right here last year) was developed by the International Riesling Foundation, and will alert consumers of a particular wine’s sweetness. The categories are Dry, Medium Dry, Medium Sweet, and Sweet, and the goal is to disavow consumers of the incorrect notion that all Riesling is monolithically sweet, and to allow them to make more well-informed purchases. Beyond sweetness, the issue of deciphering German Riesling labels is also a hurdle that lovers of the grape occasionally struggle to overcome. Once they do (and once consumers learn the basics of German Riesling-label layout, and discover that they are among the most informative and useful in the world), the inevitable question is this: What’s the difference between one region or village or vineyard and another? 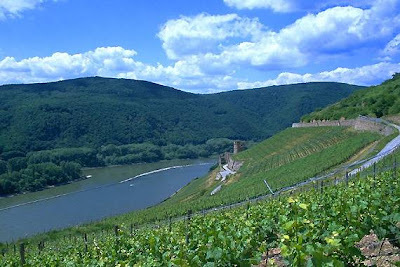 Late last year, I received an excellent guide to German Riesling-producing regions from Valckenberg, the oldest family-owned wine merchant in Germany. (Their portfolio includes some of the most remarkable wines in Germany, including one of my personal favorites, Joh. Jos. 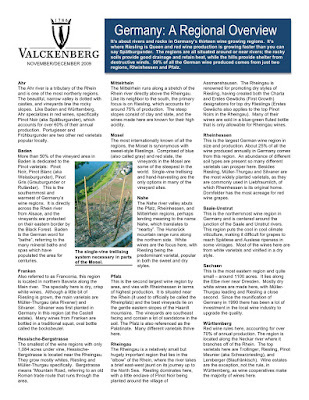 Prum; I’ll be posting tasting notes for a number of Valckenberg's wines in the coming weeks.) The guide is below; click on it to make it larger, or, even better, just download it and read it as a full-page image. And make sure to take a look at it in its entirety: It’s a fascinating read, and a perfect primer for some of the most expressive, utterly delicious wines in the world. 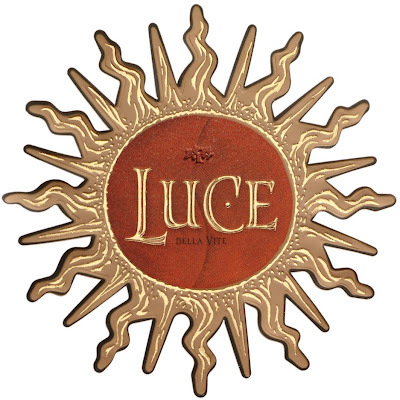 Back in 2006, I picked up a handful of 375’s of Luce 2000 and have been drinking them at a rate of about one a year. What interested me most about the wine was not only its background (the Frescobaldi-Mondavi partnership) or its provenance and blend (Merlot and Sangiovese from Montalcino) or even its vintage (good but not generally considered to be great). Rather, it was the fact that these particular bottles that I bought were sold in so-called ‘splits,’ 375-ml halves that I knew would age more quickly than their standard-issue, 750-ml siblings, and light-years faster than their magnum big brothers. So that’s why I purchased the Luce in splits. And this past Sunday night, after a weekend spent shoveling out from the nearly two feet of snow we got here in Philly, I was in the mood for a treat. Which meant opening my second-to-last bottle of the 2000. I’m glad I did, because it has finally reached the end of its life-cycle. Out of the bottle, it smelled of cherry and something almost salty, but these soon evolved into more clearly defined scents of dark cherry, leather, tobacco, balsamic, black bean sauce, and graham cracker. The palate, still powerful but devoid of most of its fruit at this point, coated the tongue with dusty tannins and flavors of olive, cocoa powder, black tea, cigar, and the merest intimation of cherry. There was still plenty of fresh acid there, and a surprisingly lively finish that flashed with mint and eucalyptus, but this wine, at this point and from a half-bottle, was all about its maturity and the expression of the final stage of its evolution. Well, it was about that and something else, too: The benefits of a half-bottle. We finished it in a single sitting, without the stress of having to worry about its survival to the next day. Let the bottlers turn their noses up at 375’s--I’m a fan, and a believer in them, too. 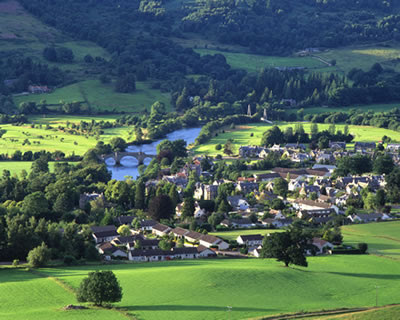 A Sense of Discovery...and A Dram of Scottish Wine? Too often, wine lovers get bogged down in the whole obsessive business of chasing ‘great’ wine. And while this effort--which I’m sure all of us have (or currently are) engaged in--typically leads to the uncorking of some remarkable bottles, it also has the unfortunate side-effect of obscuring a whole other class of wines from our respectful view if we're not careful. When I first got into wine professionally, I found myself slipping into this trap, and it began to feel like some sort of (with apologies to Kant and standard English usage) myopic vinological imperative to amass as deep a well of experience with the greats as possible. Now, there’s nothing wrong with this in and of itself. In fact, wine professionals should be able to understand and comment on certain specific touchstone bottlings with a broad, well-considered sense of context...but not at the expense of everything else. Eventually, I learned that the wine world is about much, much more than just a handful of famous names and iconic labels. It is, rather, about a sense of discovery, and a desire to understand and make connections between all the moving parts of that world, no matter how famous or unheralded one particular corner of it might be in relation to another. This was driven home most clearly to me when I began getting together with a group of local wine professionals here in Philadelphia for occasional BYOB-style dinners and at which the game, as it were, is not to bring the most famous bottle we can find, but, rather, the most interesting. This has led to some revelatory glasses of wine that we wouldn’t have had otherwise: Dry Furmint from Hungary; sparkling and bone-dry Shiraz from Australia; a sweet wine from one of the smallest appellations in Italy, the tiny Loazzolo DOC tucked away in the Piedmont region; and more. So why talk about this today? Because this morning I read the news that Scotland is just about set to release its first commercially produced wine, a Riesling. And while no one really expects it to be great, or even, for that matter, terribly good--even the producer, Chef Peter Gottgens of the Ardeonaig Hotel on Loch Tay in Perthshire, says, according to the article in the Scottish Daily Record, “‘I don’t for one minute think we are going to rival any of the great wine-producing areas of the world. But we are going to learn and have a great experience from it’”--that doesn’t matter all that much. The importance is in the effort. I cannot think of a better attitude, and a more propitious place to start, than that: At the intersection of exploration and passion, where so many of us began our journey in wine. 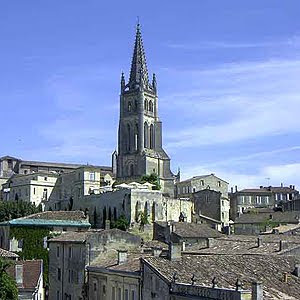 No matter what you drink, whether it’s First Growth Bordeaux, Grand Cru Burgundy, or Scottish Riesling, the sense of wonder at the wine world’s breathtaking diversity, and a desire to explore every nook and cranny of the map, is the bedrock, it seems to me, of a lifetime of wine enjoyment. The great vintages of the best producers can be magical, and anyone who tells you that they don’t get excited whenever they are lucky enough to taste one is either lying or in the unfortunate possession of malfunctioning taste buds. But there’s more to a satisfying wine life than just those bottlings. Balance and context, in wine as in life, is the key to happiness. Here we go: Yet another reason to drink wine (as if we needed one!). Wine Spectator reports in this week’s “Wine and Healthy Living” newsletter that there is one more in a very long string of reports on wine’s health benefits. This time, the news deals with lung cancer, which, according to new research, may be prevented--or, at the very least, staved off--by the consumption of wine. Of course, this early-stage evidence is still primarily based on lab research, but, according to the story, “the results may translate to humans,” as have so many other lab tests dealing with wine’s health benefits. This also brings up another aspect of wine’s healthfulness that is too often overlooked: That many of wine’s benefits are not limited just to the chemically and scientifically quantifiable, but also by the social aspects of it. After all, in a world as stressful and demanding as this modern one we all wake up in every morning, wine offers the opportunity for a break, for socializing, and for enjoying a few moments without the other stresses we spend so much of the rest of our time contending with. At the end of the day (both literally and figuratively), sitting down with friends or new acquaintances and conversing over a glass or three is one of the best, most relaxing and healthful activities I can think of. 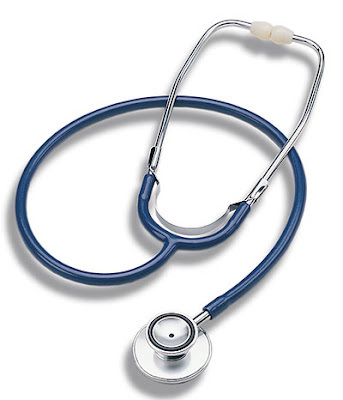 The benefits are physical, mental, and emotional in equal measure. And no matter what you pair it with, wine almost always makes a meal better than it would have been without. I just finished my first seminar at Vino 2010--I’m attending more than half a dozen of them over the course of two days--and am blown away by what I tasted. This one focused on the wines of Calabria, and, for lovers of traditional varietals and winemaking techniques, it’s a must-study region of Italy. Unlike so many other parts of the world, Calabria has managed to maintain its focus on the traditional grape varieties that have served it well since, in some cases, the Greeks arrived. I’ll be reporting on this in much more detail next week when there’s time to really delve into it--right now I’m in the press room on the 18th floor of the Waldorf, half an hour before the opening reception--but for now it’ll have to suffice to say that the range and quality of wines from Calabria is stunning. From deep, rich, cherry-scented beauties to more wild garrigue- and lavender-influenced bottlings, Calabria is a fascinating place, and a treasure trove for lovers of exactly the kind of regional idiosyncrasy that Italy delivers with such exuberance. 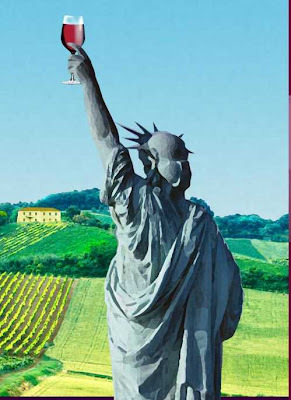 As I noted here last week, I’m heading to New York this afternoon for Vino 2010, the largest Italian wine event ever held in the United States--or, for that matter, anywhere in the world aside from Italy. I received my final schedule yesterday, and it’s going to be a seriously interesting couple of days, filled with seminars and tastings that cover everything from the specific terroirs of Tuscany to the relatively little known Gaglioppo grape variety of Calabria. There’s even a dinner tomorrow night at Le Cirque that will feature the wines of Friuli. And, as is the case whenever I’m out of town for a wine-related trip, I will be blogging about it, and shooting video of it, throughout. I’ll also be posting updates on Twitter to @WineUpdate, most of which will turn into longer blog posts right here at UncorkLife.com later this week and next. 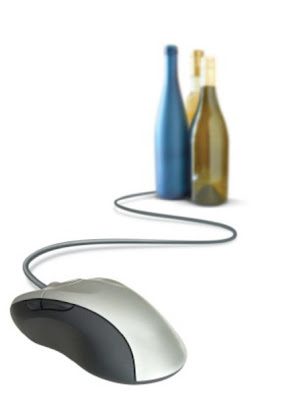 Also as I mentioned last week, don’t forget to tune in online for the live video stream of the special Virtual Vino panel discussion this Thursday morning, February 4th, at 10:00am, during which the impact of social media will be discussed and dissected by some of the field’s top experts. And if you have any questions for the panel, you can post them on Twitter to @Vino2010 and @JRvino2010. In the meantime, I thought that this would be a good day to link up part 1 of a solid introductory video on Valpolicella that the Wine Spectator recently ran. (Click here for the video.) I’ll follow up with part 2 once it’s available, as well as with my own videos from New York. So stay tuned--there’s a lot happening this week. I’m getting thirsty just thinking about it.